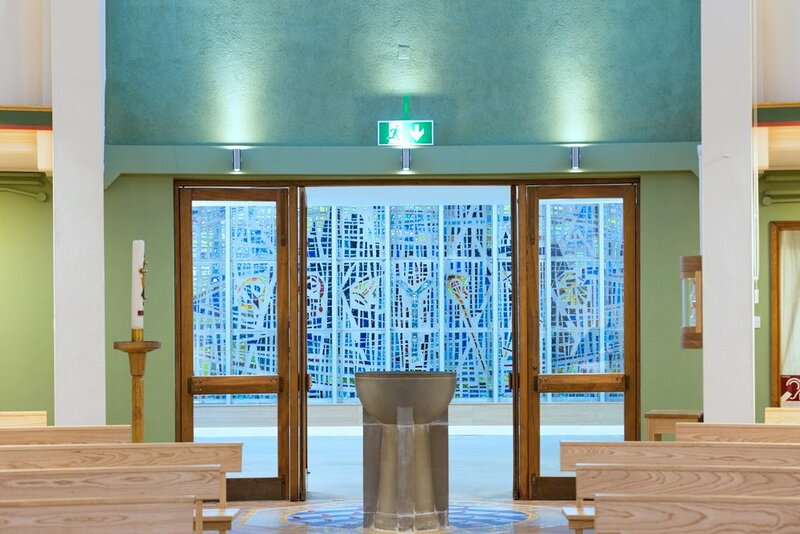 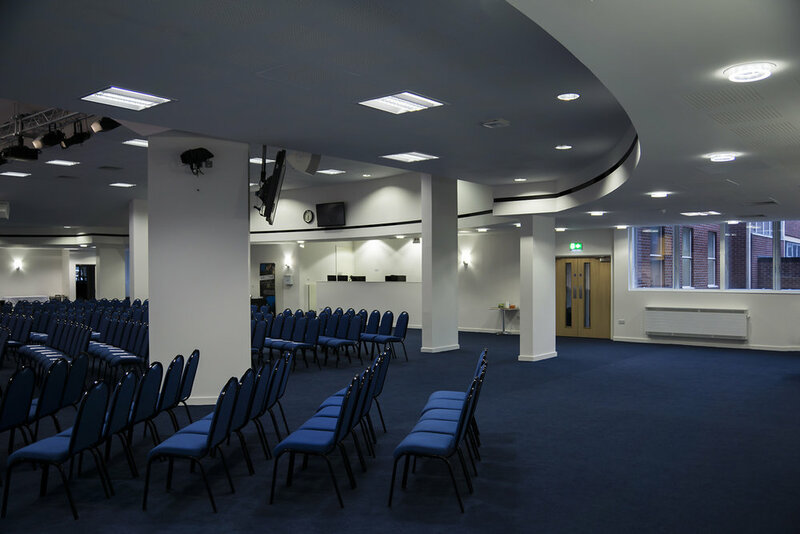 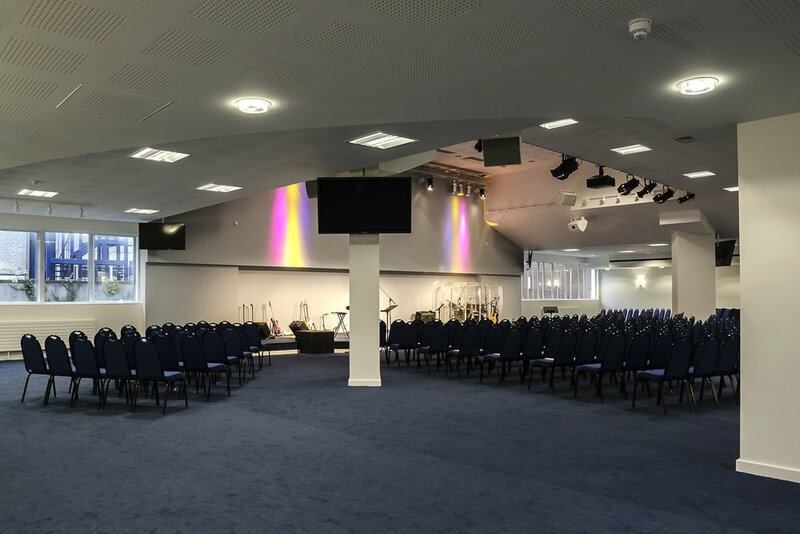 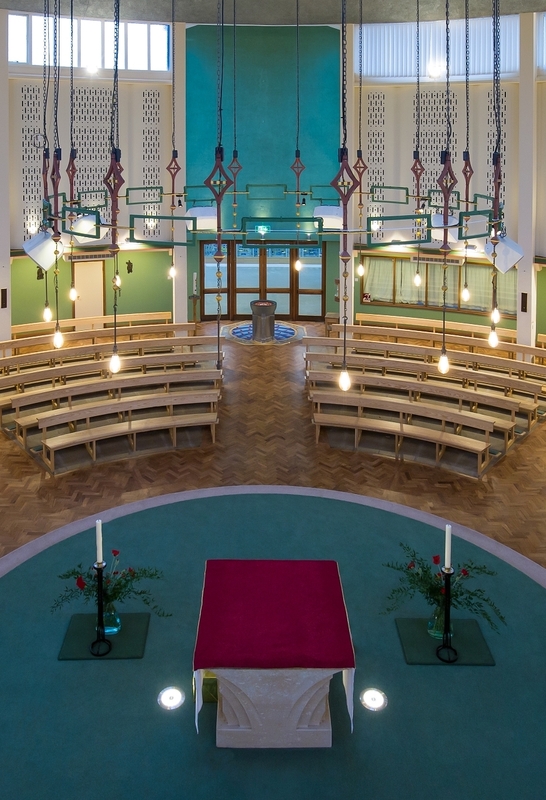 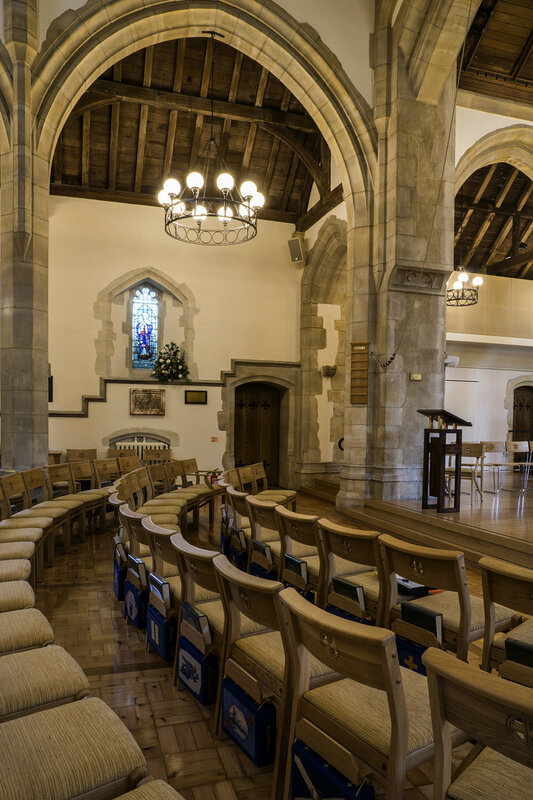 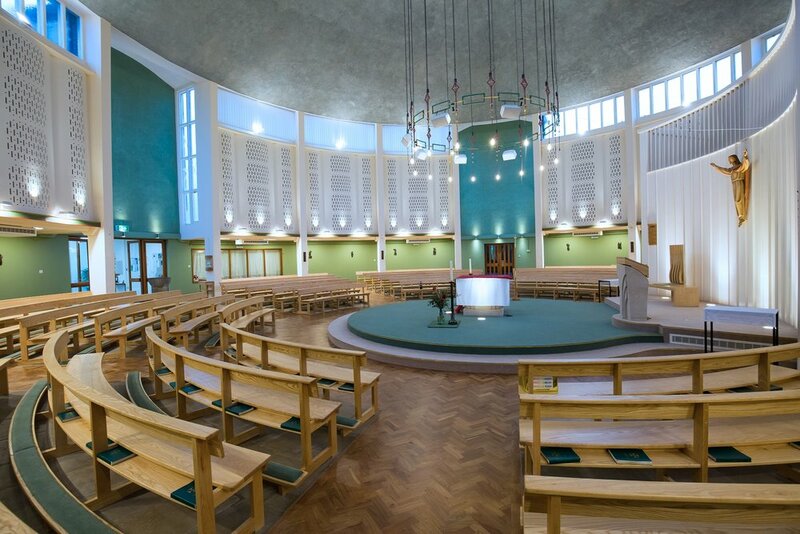 This project consisted of an extension to the church entrance together with internal refurbishment of the main worship space and toilet areas, provision of new liturgical furniture and a new emergency exit door. 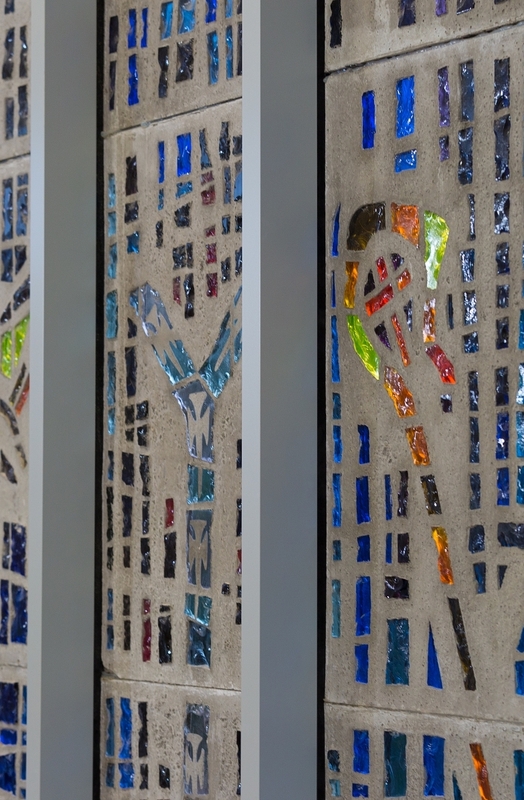 The extension incorporated the relocation of a ‘Dalle De Verre’ concrete-framed window recycled from St. Thomas of Canterbury Church. 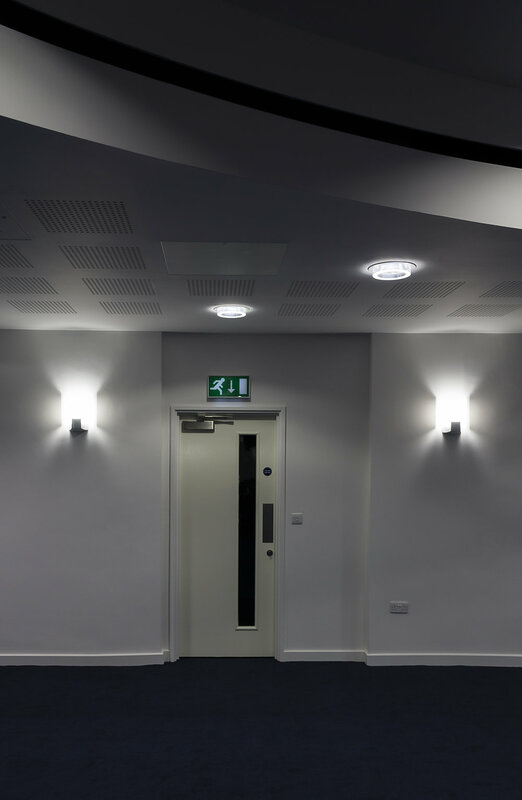 The work included replacing the fire damaged ceilings and wall panelling together with new floor finishes and internal decorations, including new electrical installations. 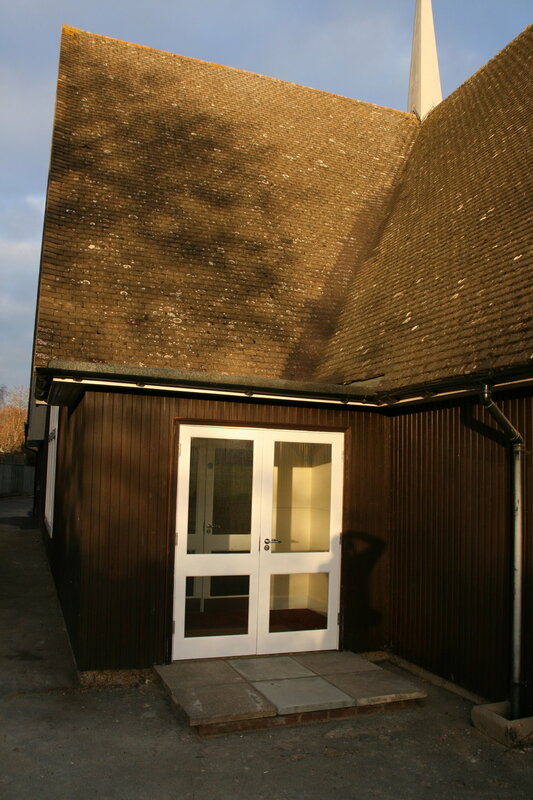 This also included the construction of a single-storey extension to the new Parish Office. 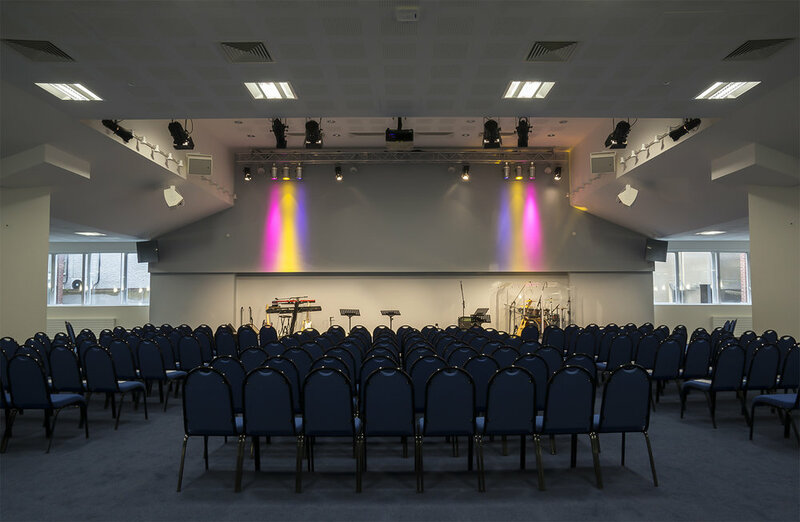 The purpose of this project was to create a user-friendly modern worship space to accommodate a congregation of 500-600. 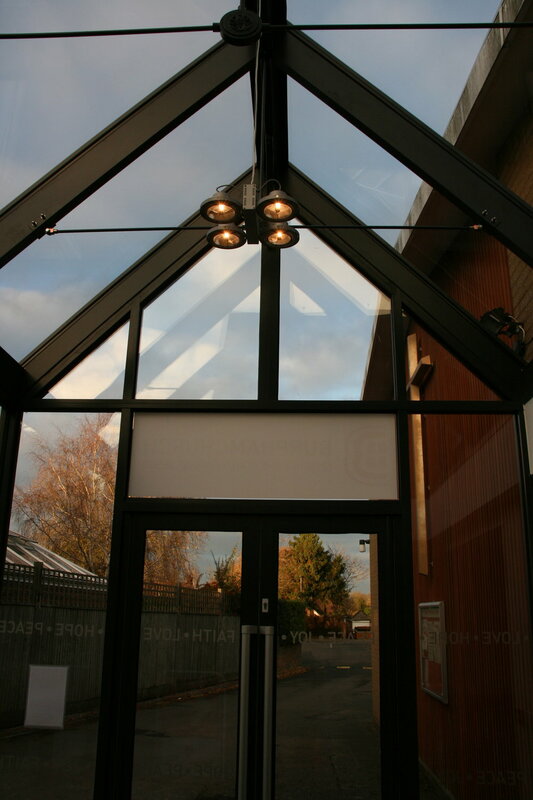 There were substantial alterations made to the existing concrete frame of the building to create the large space. 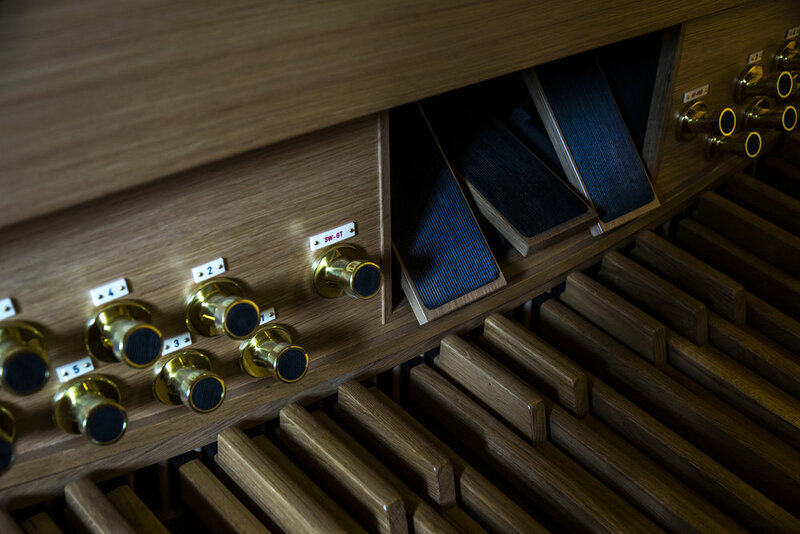 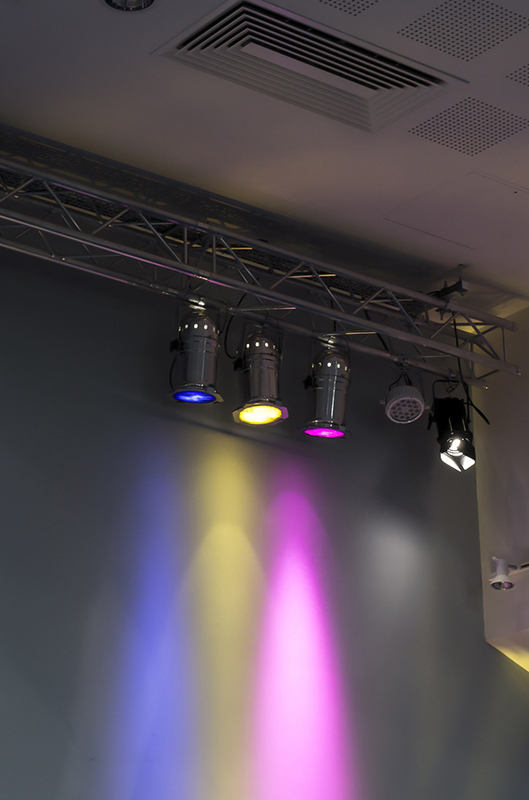 The acoustic performance was particularly important to the client due to the way in which the space would be utilised. 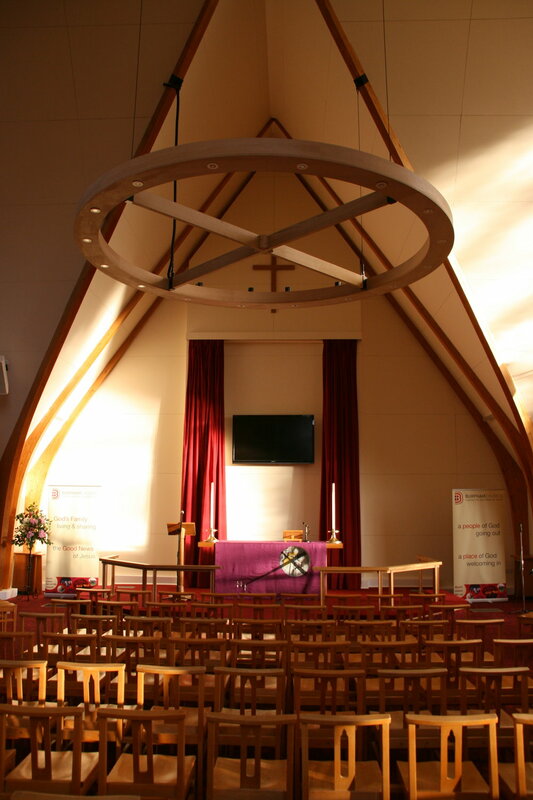 Demolition of the existing mezzanine floor, removal of pews, font and also the existing electronic organ. 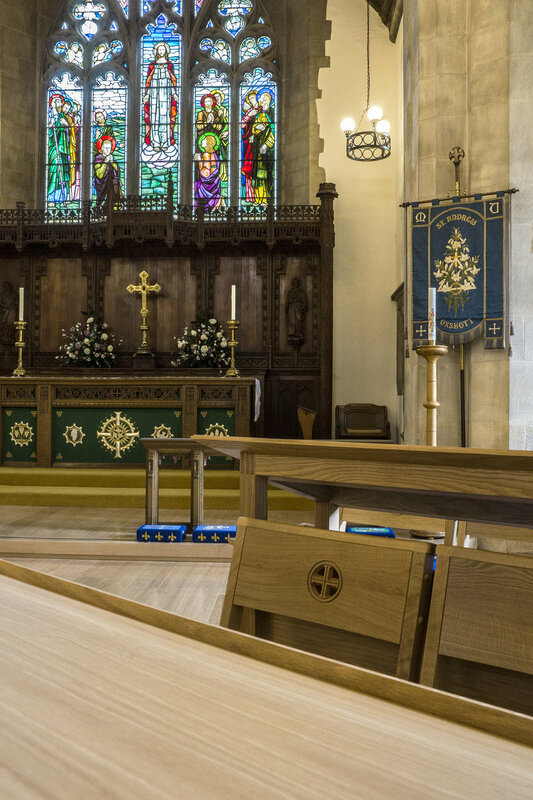 A ramp was added in the Lady Chapel, a new electronic organ & complete AV system, new furniture, new lighting scheme and finally the reworking and re-siting of the pulpit.